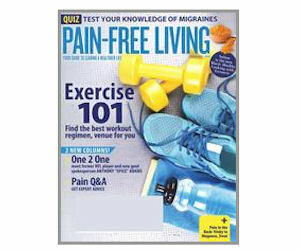 Start a free subscription to Pain-Free Living magazine! Pain-Free Living offers relevant information on pain management, medicines, exercise, nutrition, emotional health, surgical options, and advances in pain treatment. Written by health-care professionals and experienced health writers, our articles are packed with easy-to-understand information and tips that you can use.